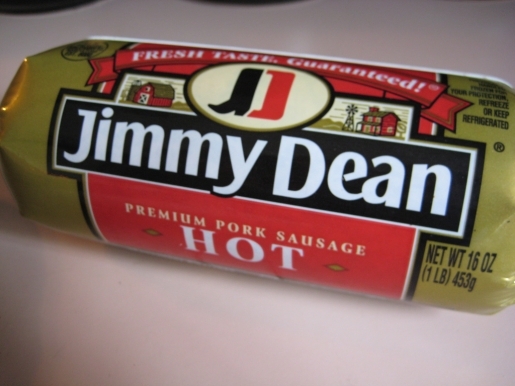 It’s hard to believe, but to some people Country Music Hall of Fame member Jimmy Dean is best known not for his music, but for his iconic brand of sausage that bears his name. The musician and meat maven, who scored a slew of hit songs in the 1960’s and who had his own television show for three years on ABC, passed away at his home Varina, Virginia, last night. He was 81 years old. For me, he was the sausage guy. I’m not going to lie and pretend I knew much about his music, but this morning when I found out he passed and saw some of the songs in his obituary, I checked them out and instantly realized who he was: the guy who recorded “Big Bad John,” one of the best songs of all time. It’s an incredible tune; if you’ve never heard it, check it out below. It’s a classic song that was a #1 hit on the country AND pop charts, and it also won Dean a Grammy in 1961.